Dovetail Recruitment are pleased to be recruiting for a steadily growing company within the financial sector. They are looking for an Investment Writer to join their experienced team. You will be mentored and trained to work well within the company, but you will need to possess excellent written communication skills and have a good knowledge of the finance, economic or investment industry. The successful candidate for this Investment Writer job in Bournemouth will be sharing new and existing client work, collating information, researching and creating new and unique content on behalf of clients. Ensure all content is recent, up to date and relates to popular content in the industry. Also includes exposure to other facets of the business, depending on a candidate’s skill-set. This Investment Writer position would suit candidates with a degree who have some work experience within the relevant industries, or someone who has experience with investment content writing. If you are interested in this Investment Writer Job in Bournemouth, please click on ‘Apply Now.’ Alternatively, to view our other vacancies, please visit our website. Laura relocated back to her hometown of Bournemouth after 4 busy years studying and working in London. With her first year's recruitment experience under her belt, she's a pro already, working across all sectors and levels of position from administrator right up to Executive level roles. If you are looking for a recruitment consultant to find you the best possible job in Dorset or Hampshire, you're in the right place. 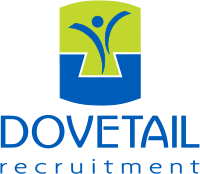 Our team of recruitment consultants at Dovetail Recruitment have been recruiting for sales and marketing roles for Dorset and Hampshire based companies for over 20 years. Tiffany is our Sales & Marketing Recruitment specialist and looks after roles including: Account Management, Business Development, Product Development, Product Management, Traditional Marketing, Digital Marketing, E-commerce and Sales Support. As a boutique agency we offer a very personal service and are committed to finding the perfect role for you. We know our clients and the local Dorset and Hampshire market very well. We take a proactive approach for all of our candidates, this alongside our knowledge and relationships with local companies means we can help you find your perfect job. View our current sales and marketing job vacancies.. If you're looking for a specific job role and don't see anything that takes your fancy in our current vacancies, please get in touch. Visit the Dovetail Blog for articles that will assist you in your job search articles and Career Skills advice.